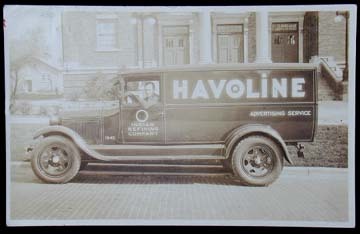 Notes which I have assembled on the histories of INDIAN REFINING COMPANY, Incorporated, HAVOLINE Motor Oil, and The Texas Company / TEXACO Inc. This site is in no way connected with ChevronTexaco Corporation, all of whose trademarks and names are hereby acknowledged. These notes are presented purely for historical purposes and not for profit.